SOLD! 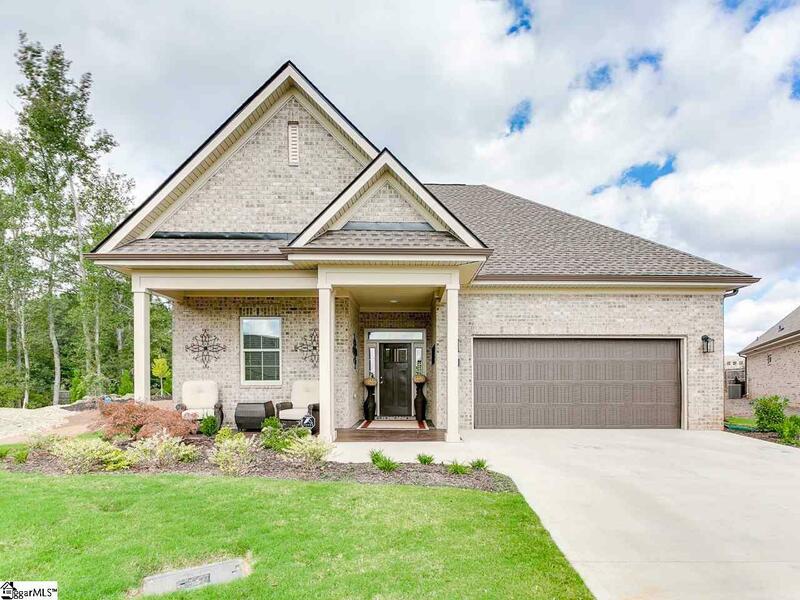 Closed February 7 2019 This beauty will WOW you! 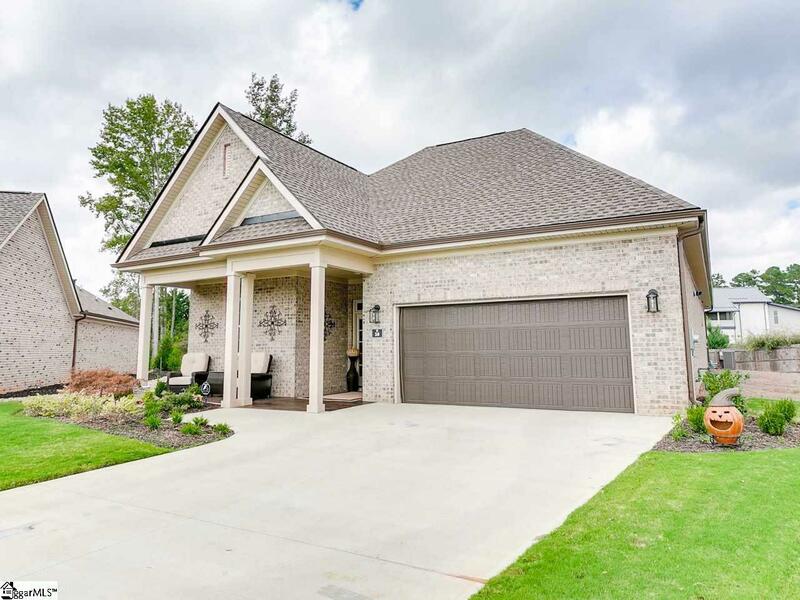 Newer Community in desirable area conveniently located for easy access to I-385 and minutes from downtown Greenville. No remaining vacant lots. Custom single level home designed to optimize the space you use the most. Spacious kitchen flows into the great room and dining area in an open concept, enhanced by ten foot ceilings. The Master Bedroom features a sitting area, large bath and closet outfitted with high-end built-ins. A covered courtyard with outdoor fireplace opens to a great view, while letting in plenty of light to the homes living spaces. The patio also has a retractable phantom screen to keep out the bugs at night. The thoughtful floorplan also includes a five by twenty foot storage closet that can hold a mountain of personal items. The design and finishes makes this home worthy of a feature in Architectural Digest. Truly a chefs delight, the kitchen includes a dual fuel 48 KitchenAid range with gas 6 burner cooktop, griddle and electric double oven. Triple rack KitchenAid dishwasher, built-in microwave drawer. Designer tile backsplash, abundant cabinet and drawers with lots of extras such as easily accessible pull outs in many cabinets, large island for dining and work space, hidden additional storage at sides of the 10.6 x 8.5 Island, soapstone countertops complete the gorgeous design. When you visit this home what will strike you is the light pouring into the Living room, kitchen and dining area. The covered patio, vaulted wood ceiling and additional outdoor living space with patios and backyard made it hard for me to leave this space. It's easy to envision entertaining, relaxing and making lifetime memories at 59 Layken Ln. We have yet to discuss the designer laundry room 12.6 x 9 with plentiful cabinets, counter space, and large laundry sink. Possibilities in this space are limitless. (Arts and Crafts area, gift wrap, etc) The owner thought of everything by having this laundry space also open to the owners bath area. 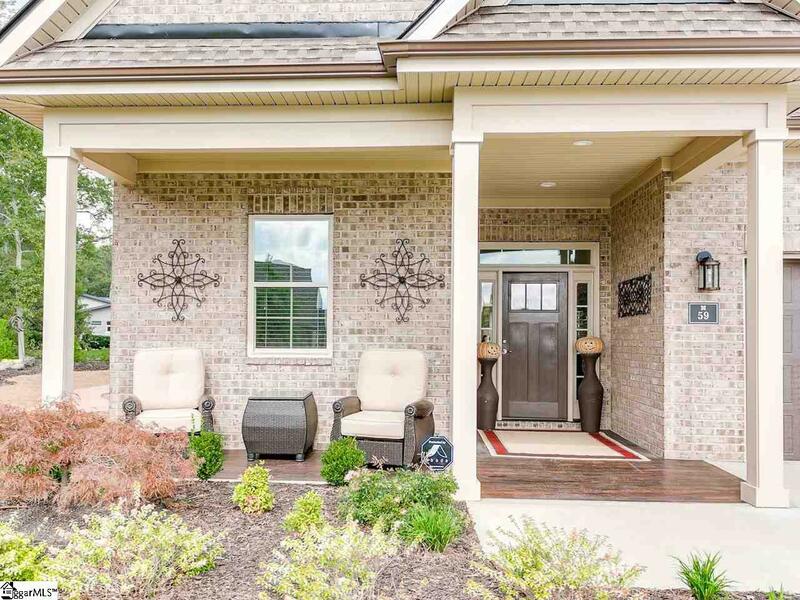 You will find two additional bedrooms. Columns and a fence are being added to the landscaping details. Notice the River Rock bed hardscape, additional outdoor living spaces with multiple patios, and so much more. HOA Fees are $175.00 a month includes so many benefits. Landscape and Lawn Maintenance are included for your front yard, all home exterior maintenance, street lighting; water for your front lawn, landscape irrigation and much more. The Full size freezer, refrigerator, washer, dryer and ice maker are available for separate purchase and not included in asking price.